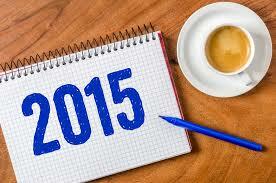 2015 Writing Resolution – Write when there’s little time to write. I have several goals for 2015, but I must confess to one that’s on the top of my list – write when there’s little time to write. That is, not wait until I have a two hour block of time to sit down and write. Oh, how I love those times, but they are too few and far between. If I want to reach my writing goals I have to write and write more often! In my line of work (stay-home mom) my schedule is neither consistent or predictable. Too often, I settle down with a cup of coffee, notes, writing tools, laptop and plans of writing for hours, then whamo, my dream is completely shattered. When I have shorter periods of time, I have been using them to accomplish other writing related tasks such as, social media, blogging, researching or reading. If I added up all those minutes, they might amount to something and my writing would be further along. It’s a new year and now my resolution is in writing — so there — I have to stick to it. Hopefully, I’ll report back at the end of the year with some great results! Posted on January 9, 2015 by debbiedaurelioPosted in UncategorizedTagged #amwriting, #happywriting.